Usually when big-name electronics manufacturers get into audio, they do so casually. 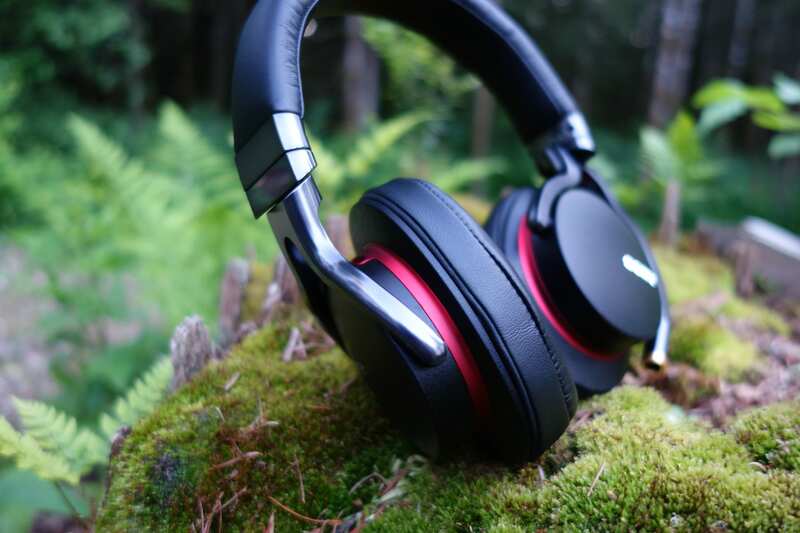 Their headphones are more targeted towards the average consumer, with decent quality and a reachable price. Sony is different, though. It’s audio gear can dive well into “audiophile” territory, and the brand is highly regarded among those passionate about audio quality. Take the NW-ZX2 Walkman digital audio player, for instance. It goes for a staggering $1,200 and is jam-packed with HiFi prowess. 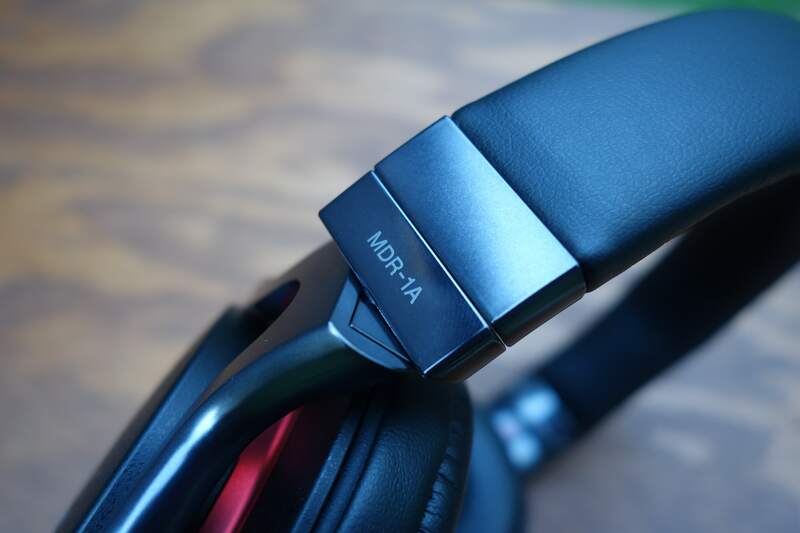 What we’re reviewing today isn’t that high-end, but it’s definitely not your budget headphone. 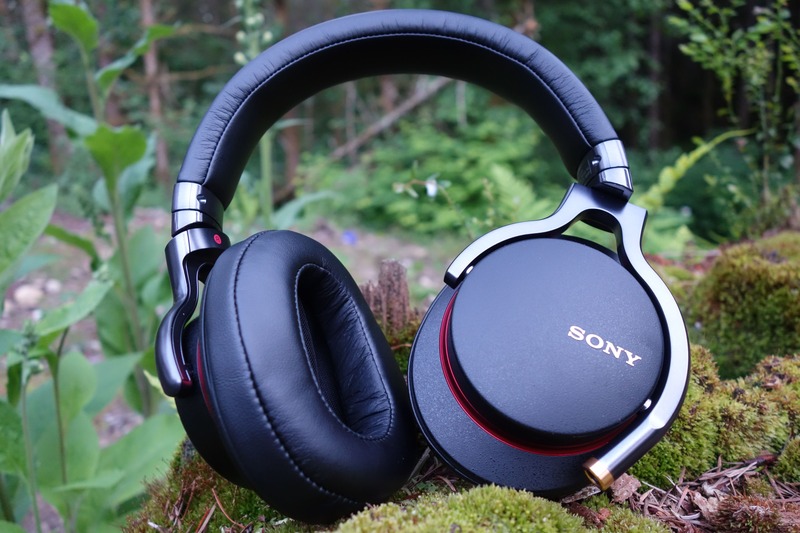 The MDR-1A can be called Sony’s signature over-ear headphone, or the within-reason premium offering before things go into crazy expensive audiophile territory. 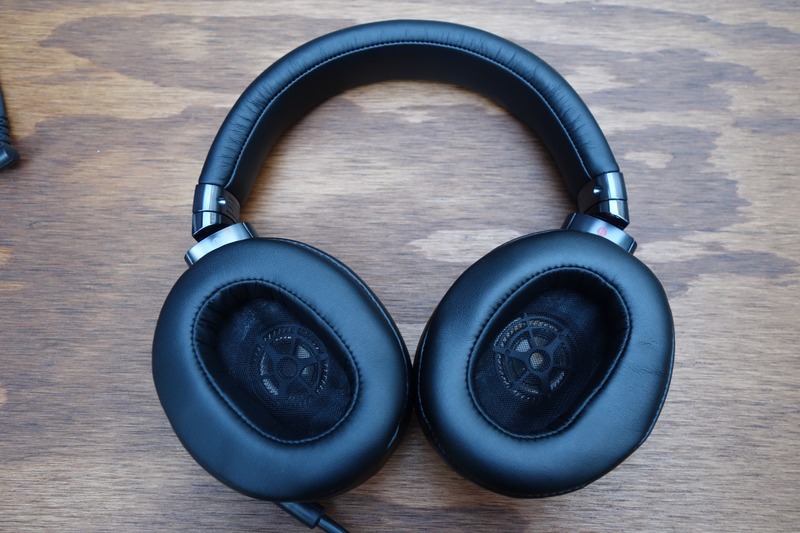 Let’s see if the MDR-1A should be your next upgrade. I really like the MDR-1A’s design. It’s both classy and edgy. The black, stealthy styling has a sophistication to it, as the leather-dominated headband blends into shiny metallic stems. Then a deep red edge is lined between the earcup and earpad, for a touch of flair. The soft, leather-wrapped earpad cushions and seamless stitching also invoke the premium feel. The attention to detail doesn’t stop there, as you’ll uncover a brushed metal band when you extend the headband to make it larger. I’m glad that the MDR-1A looks the part, as it’s not a cheap headphone. That said, it does lose of its premium appeal when you pick it up. The hard plastic construction is immediately noticeable (the metallic finish is a deception). Still, I have no question about the MDR-1A’s durability. Sadly, these over-ears don’t have a fold-able design. Many headphone manufacturers are doing this these days so the headphone can compact down to a travel-friendly size. But at least the earcups can rotate to lay flat. This means that the carrying case doesn’t have to be as thick. Speaking of which, the included case is drawstring-style and maintains the leather aesthetic. The packaging includes an extra cable (with an in-line remote for playback control and a microphone to take phone calls), so this means that the cable is removable. 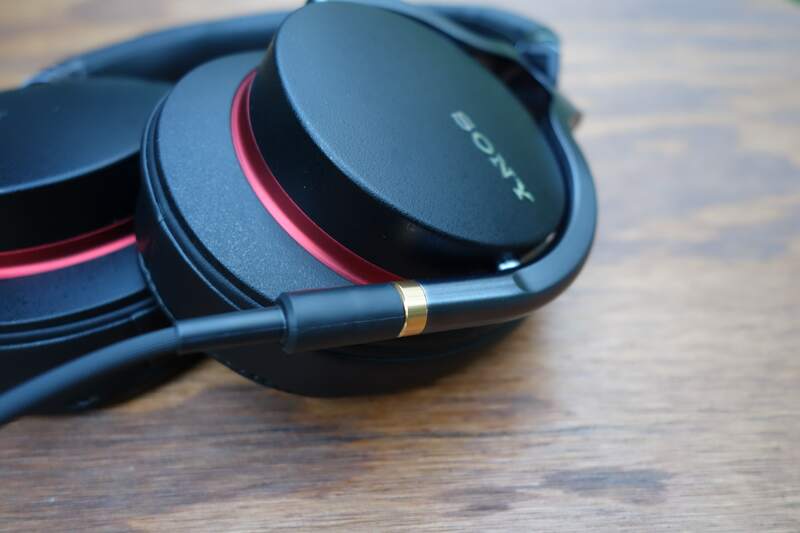 You’ll find the 3.5mm connection on the left earcup, as one arm of the stem extends downward for easy access. The benefit of a swappable cable is replaceability. 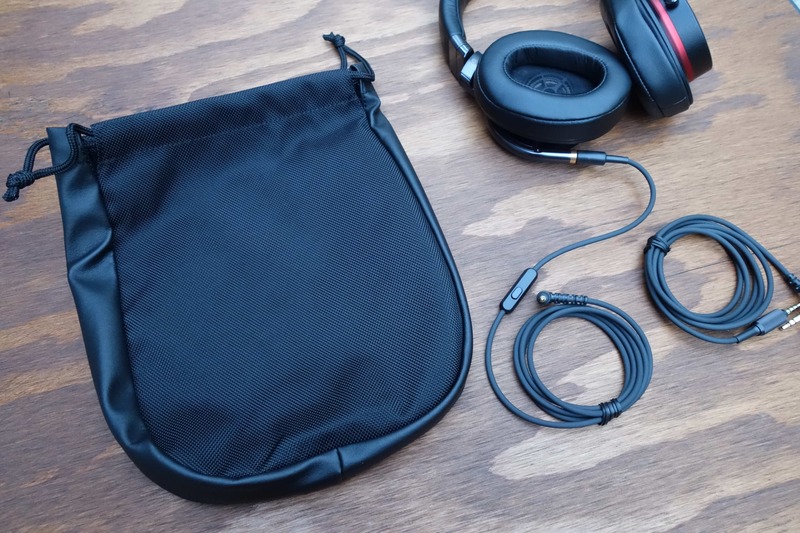 Cables can go bad, and you don’t want to have to replace the entire headphone if it happens. You may have noticed that the ear pads look fairly substantial. 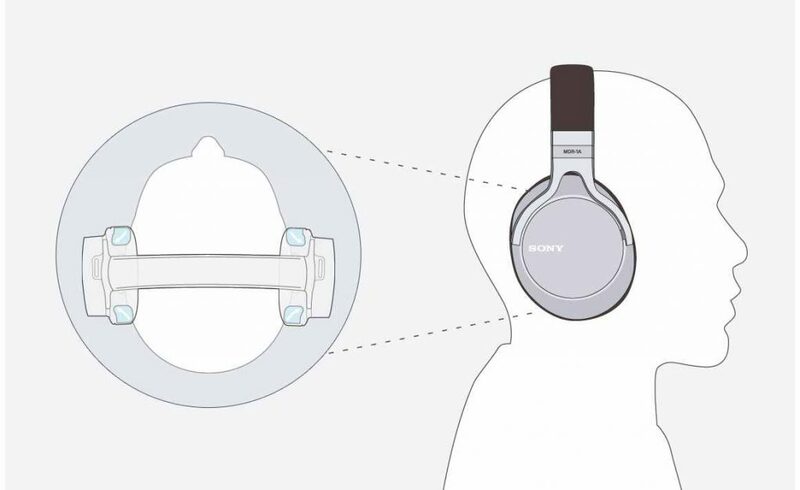 Sony’s goal was both comfort and sound isolation. The ear pad cushions are constructed with an “enfolding design” to minimize sound leakage. This in no way means that the earcups are stiff and uncomfortable. Quite the opposite is true. The pads are more soft than firm. Bear in mind that as they are leather, they will heat up over a lengthy period on your head. But all in all, these earpads are one of the comfiest that I’ve used. The sound isolation was also great. Oh boy, the sound. The MDR-1A captures you from the bat. Sony was totally not going for a “reference” kind of sound, but rather, engaging. There’s a clear emphasis on bass. But it doesn’t irresponsibility call for attention and overshadow the rest of the spectrum. It’s boisterous in the right ways: depth and impact. You can almost feel the low-end’s sound waves shake the space within the earpads. It borders on head-rattling; if you love bass, you must try these headphones. However, from an audiophile perspective, I have to throw a word of caution. If you like a balanced/neutral sound, these may not be for you. The bass is the clear star of the show here. It does at time borderline on boomy, but impressively controlled for the most part. I don’t mean to downplay the rest of the range, though. The MDR-1A is detailed across the board. Second to the bass is the mid-range. Vocals and instruments in this region sound satisfyingly full and rich. Too often sound signatures recess the mids and do them an injustice, not so here. The soundstage is also pleasant, as the separation and placement of notes fill the space around you. I wasn’t as impressed with the treble as the other ranges. It’s good, but can fall flat at times (there could be more extension) or get overshadowed by another sound. I wouldn’t call it recessed, because when the track calls for it, it’s prominent and detailed. 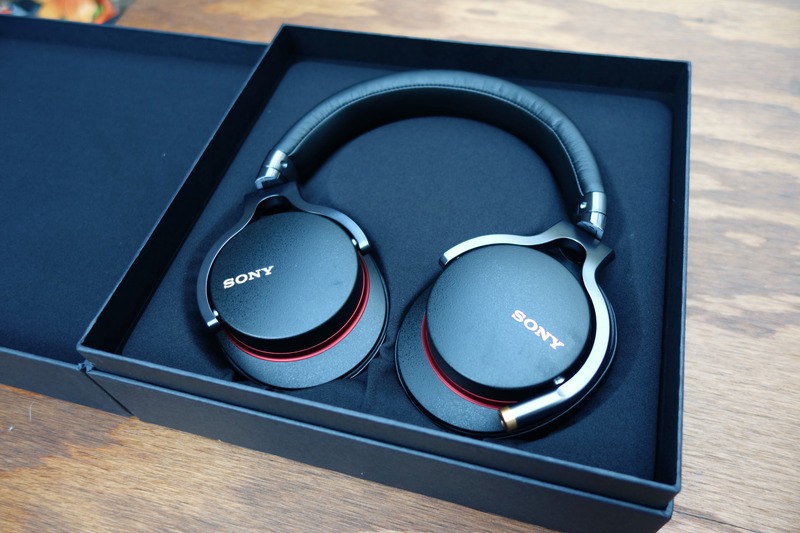 Sony’s expertise certainly shows in the MDR-1A. The design is attractive from either a sophisticated perspective or someone who likes standout styling, the wear/comfort is impeccable, and the sound is an experience. Though, the plastic build and bass-heavy sound may put some serious listeners off, but I can see it being fine for many people. The MDR-1A is more premium than your standard over-ears, so the price tag won’t be for the faint of heart. They retail for $299. 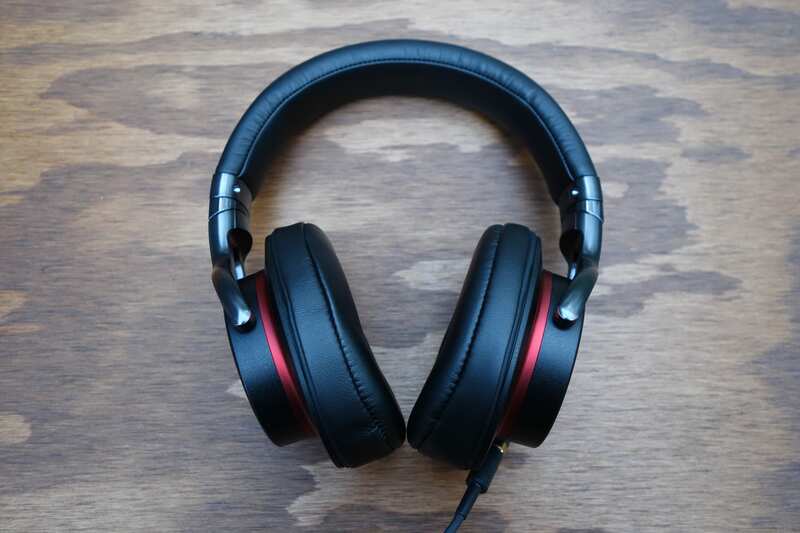 But you are getting a well-made, good-looking, super comfortable, and fun sounding headphone. 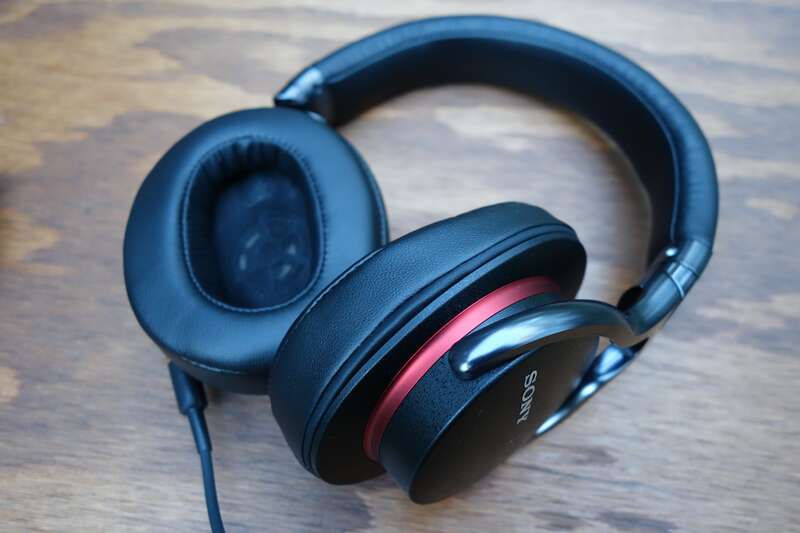 The Sony MDR-1A is an all-around great over-ear headphone. It has both attractive form and ergonomic function. You won't get features galore, but the rotating earcups and removable cable should do the trick for most users. The sound is impactful while being composed and detailed. That said, you may want to consider if hard-hitting bass is for you.